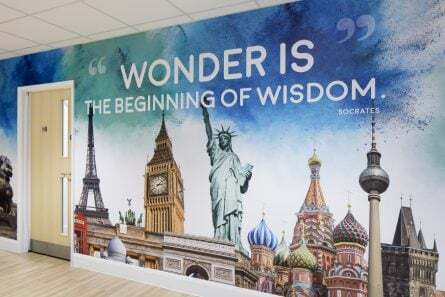 Use bespoke designed wall graphics to help communicate your school’s visions and values, impress visitors, inspire learning and add a wow factor to your school. Our wall graphics include a bespoke design service to ensure you achieve the exact result that you want and communicate the message that’s right for you. Our design process ensures you are 100% happy with the final result and gives you the tools you need to get agreement from all stakeholders. A consultant will talk to you in detail about your requirements. We will show you the materials we can print on and where they can be applied. We will also use photos and measure up the areas you are considering covering to we can provide you with an accurate quote to consider. We appreciate you may only be doing research at this stage and may not be quite ready to purchase. That’s fine, we fully understand, and are still more than happy to visit to help you make an informed decision. We will send you a quote for the areas discussed and, where appropriate, a written design proposal. We will apply blank panels to the photos to illustrate the areas we plan to cover to help you explain the proposal to stakeholders in your school. We are happy to discuss the proposal with you and make adjustments where necessary. 3. Great news, you want to proceed! Once the quote is approved we’ll book the project into the design studio and create a schedule working back from your ideal installation dates. The process usually takes around 4-6 weeks, but can be done quicker depending on the exact specification of your project. We will also book in a convenient time for a member of our experienced installation team to visit your school to do a detailed site survey, double checking all measurements and placement of fixtures and fittings. Approved artwork will be set up to these accurate measurements for printing. Our designers will now be fully briefed and will create a few stunning design options for you to review. Some designs will require photography. We offer a high quality photography service or we can work with your photos. These will need to be taken or sent to us before we start on the designs. As confident as we are that you will be impressed by the first round of design options you receive, we fully expect to get feedback from you and make some revisions. We want to ensure you are 100% happy with the final design, so we offer unlimited revisions within the original brief included in the cost, which means that you can feedback as much and as often as you like. 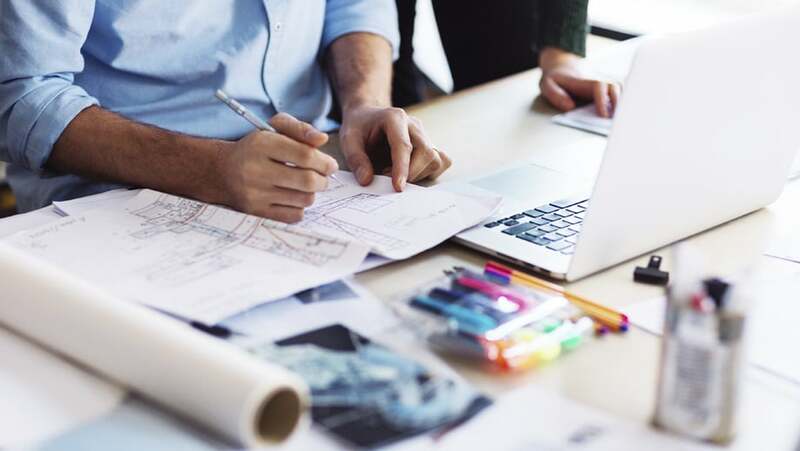 As a general rule of thumb, designs tend to be around 90% complete at first draft stage, and undergo 2-3 rounds of minor revisions before they are approved for installation. Once you have received your designs feel free to ask questions and give us your feedback on your preferred design route. Once we have collated your feedback we will make any necessary design changes required and send back to you. We can do this as many times as you need. Once you are happy that the designs are exactly as you want them, we will ask you to approve the final proofs for printing. This is usually between 1-2 weeks before the installation date which we will have booked in with you. 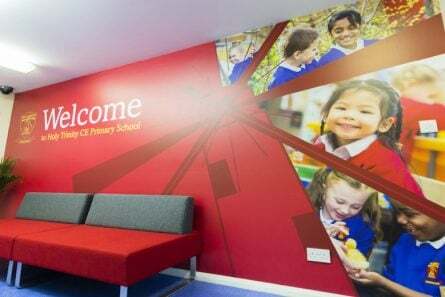 Our team of experienced installers will visit your school to install your bespoke graphics. 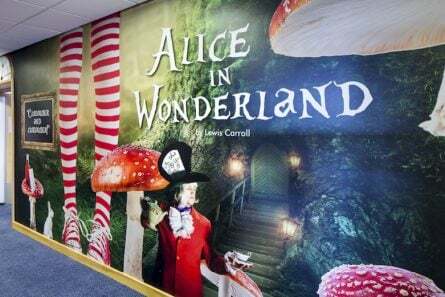 We are used to installing at weekends and holidays without the children around, which is generally preferred by schools, and adds to the wow factor when everyone returns back to school to see their school’s walls have been brought to life! We hope this helps you understand the process.